First, a few quick facts about Puerto Rico, just so you know more than our President. Puerto Ricans are U.S. citizens. Puerto Ricans pay taxes to the U.S. government. Puerto Rico is not, as Trump said, “sitting in the middle of an ocean . . . a very big ocean.” Puerto Rico is just 300 miles from Haiti, a country in which the U.S was able to have 8,000 troops on route within 2 days of the 2010 earthquake and 33 military ships, 300 helicopters, and 22,000 troops on the ground in two weeks. In Puerto Rico, there currently are hundreds of thousands without drinking water and power, and after 8 days, the Trump administration has provided just 4,400 service members and 40 helicopters.On Friday, the mayor of San Juan Carmen Yulin Cruz pleaded in a press conference, “I am begging. I am begging anyone that can hear us to save us from dying. If anybody out there is listening to us, we are dying. And you are killing us with the inefficiency and bureaucracy.” You really need to watch the video of her press conference or at least read the transcript. Trump fixed everything though on Sunday evening when he dedicated the golf trophy from the golf tournament he attended to the victims in Puerto Rico, Houston, and Miami. I wish I was kidding. To donate to the humanitarian efforts in Puerto Rico, please go to United for Puerto Rico. RepubliCare: It Lives, It Dies . . . It Lives Again? Senator Collins (R-ME) joined Senators Paul (R-KY) and McCain (R-AZ), as well as every Democrat senator, in declaring opposition to the latest Republican attempt to replace the Affordable Care Act by providing Americans with a box of band-aids, a box of Tootsie Pops, and some McDonald’s gift certificates. With failure certain, Republicans did not even bring the bill, Graham-Cassidy, to a vote.Apparently, no one felt like interrupting Trump’s alternate reality to break the news about opposition to replacing the ACA. He has no idea why it failed. Multiple times this week, Trump insisted that Republicans had the votes to pass it (note: they didn’t) but they couldn’t because a senator was in the hospital (note: he wasn’t – Senator Cochran (R-MS) was at home recovering from a “urological issue.”). Although, they did not repeal the Affordable Care Act, Republican efforts are still hurting health care. While trying to pass Graham-Cassidy last week, Senate Majority Leader Mitch McConnell (R-KY) killed a bipartisan solution led by Senator Alexander (R-TN) and Senator Murray (R-WA) that would stabilize the ACA marketplace. Republicans failed to find time to vote on a re-authorization for the Children’s Health Insurance Program (CHIP), which expired on September 30. The insurance for 9 million children is now in jeopardy. Lastly, the Department of Health and Human Services said it will not participate in events promoting open enrollment and then openly declaring its opposition to the law it is tasked with implementing. The latest Republican legislative failure does not mean the Affordable Care Act is safe. Republicans are eyeing 2019 when they may have a bigger margin in the Senate as the 2018 Senate electoral map favors the Republicans (and if you don’t think they’ve got Senate interns calculating the life expectancy of McCain, you’re a better person than I). More than 80% of the tax savings would be enjoyed by those making more than $900,000 (the top 1%). Their tax burden would decrease by more than $200,000. Nearly 30% of taxpayers with incomes between $50,000 and $150,000 would have their taxesincreased. The majority of households with incomes between $150,000 and $300,000 would also pay morein taxes. A large part of the reason households would pay more is that Republicans are seeking to eliminate the deduction for state and local taxes. Currently, you can deduct taxes paid to your state and property taxes from your federal taxes, so you’re not taxed twice on the same income. Residents in states with high state and local taxes, e.g., California, New Jersey, New York, – also known as “blue states” – would be punished the most if the deduction is eliminated. Republicans are pushing to repeal the estate tax, which would help only the 344 wealthiest families in the country. Despite declaring “I don’t benefit. I don’t benefit,” it looks like, shockingly, Trump would benefit greatly from this tax plan. The New York Times estimated Trump could save over $1 billion from the repeal of the estate tax and nearly $50 million annually from repealing the Alternative Minimum Tax and allowing income from some types of businesses to be taxed at just 25%. As a reminder, Trump is still refusing to release his tax returns for the past dozen years. Trump economic adviser Gary Cohn, in his opening pitch for cuts, touted the plan by saying a family making $100,000 could save $1,000 in taxes, so “they can renovate their kitchen, they can buy a new car.” Something tells me that Cohn, worth $260 million, hasn’t been to Home Depot or Autotrader recently. Republican deficit hawks are . . . ummm . . . not so concerned. In a moment of surprising frankness, renowned deficit bird of prey, Representative Mark Walker (R-NC), said, “It’s a great talking point when you have an administration that’s Democrat-led. It’s a little different now that Republicans have both houses and the administration.” If I had made up a damning quote, it would have been easier on the Republicans than that. 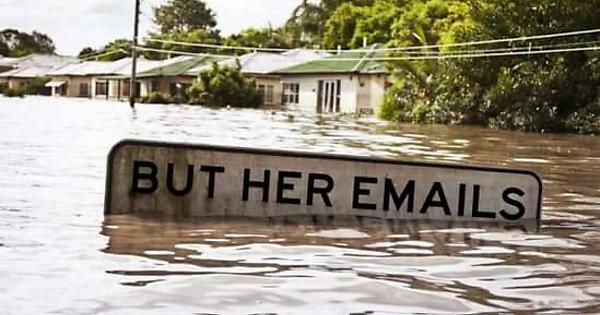 But Her Emails, Part ∞ – I vaguely recall something about Hillary using private emails being a central argument to vote for TV host Donald Trump as president. This week, The New York Times reported that at least six of Trump’s advisers used private email accounts for government work: Jared Kushner, Ivanka Trump, Steve Bannon, Stephen Miller, Gary Cohn, and Reince Priebus. This summer, Kushner kept his streak of never telling the whole truth going strong by failing to disclose his personal email account to the Senate Intelligence Committee in his interview with them. Shall We Play a Game? – The President of the United States tweeted this week, “Iran just test-fired a Ballastic Missle capable of reaching Israel.” Trump tweeted after seeing a video of a missile launch put out by Iran, making that claim. Turns out the video was actually from this past January and the missile in the video had exploded after take-off. The man who has complete authority to launch nuclear weapons was fooled by a fake old video. I am completely against government censorship, but I will throw all my support into Congress banning the airing of Independence Day, Red Dawn, or Spies Like Us until after the Trump presidency. Give Me Your Tired, Your Poor, but Can We Do Huddled Pairs or Trios Rather Than Masses?– Trump will allow no more than 45,000 refugees into the United States next year. This is the lowest amount since the resettlement program was established in 1980. There are currently 22 million refugees in the world. Hypocrisy Is a First Amendment Right – While Trump railed loudly against athletes silently protesting, Attorney General Jefferson Beauregard Sessions III spoke at Georgetown about the First Amendment. Sessions declared, “In this great land, the government does not tell you what to think or what to say.” Also occurring at the same time as the AG’s speech: federal prosecutors working busily to prepare for the retrial of the woman who laughed during Sessions’s confirmation. Lox and Rocks – Cartoon villain and EPA chief Scott Pruitt directed the EPA to withdraw a 2014 Obama administration proposal to protect Bristol Bay, Alaska from mining activity. Bristol Bay is one of the most valuable salmon fisheries in the world and under non-evil leadership the EPA had previously found that a mine would result in a complete loss of fish habitat. The Obama administration used peer reviewed studies to come to its conclusion. Pruitt, on the other hand, met with the mining company CEO hours before making his announcement. More Evidence That We’re in a Simulation – A clip from the 1950’s series Trackdown appeared online that shows a snake oil salesman named Trump who comes to town and promises to build a wall to save the town from the end of the world. If we were doomed to live in a 50’s television show, why couldn’t our reality look more like Leave it to Beaver? Most Peculiar, Mama – Despite being endorsed by Trump and Senate Majority Leader Mitch McConnell (R-KY), Senator Luther Strange lost the Alabama Republican Senate primary to Roy Moore. Trump reacted to the loss as only he could by going back and deleting his tweets supporting Strange. A quick refresher on the Ayatollah from Tuscaloosa, Roy Moore: kicked off the Alabama Supreme Court (twice!) for ignoring federal court orders, wrote an OpEd declaring that a congressman should not be seated because he is Muslim, called 9/11 and Sandy Hook basically divine punishment, and said “Homosexual conduct should be illegal.” In a perfect distillation of our current political hellscape, insane theocrat Moore is leading in polls against democrat opponent Doug Jones, the lead prosecutor in the successful 2002 case against the KKK members responsible for the 1963 church bombing in Birmingham in which four African American girls were murdered. In Russia, Social Network Friends You – We are in the early stages into realizing just how much Russian operatives tried to influence American opinions. On Facebook, a Kremlin-backed organizationpurchased 3,000 ads touting Donald Trump, Bernie Sanders, and Jill Stein. Also it appears the Kremlin ran a popular Facebook page called Blacktivist, which tried to stir up racial tensions and plan marches in Baltimore and Ferguson after the high profile death of African Americans at the hands of police officers. On Twitter, hundreds of accounts appear to be Russian operators posing as Americans. During the election, these accounts spread false stories and promoted articles about hacked Democrat emails. Most recently, they’ve been busy whipping up hysteria over the NFL and national anthem. Russia does not seem to be the only government looking to control Americans through social media. The U.S. Justice Department served a warrant to Facebook, demanding the names of the thousands of people who “liked” an anti-Trump page. Facebook successfully fought the warrants. The Department of Homeland security announced that beginning on October 18, it will track the social media activity for all immigrants, including naturalized citizens. Naturalized citizens are just like any other U.S. citizen. So another way of phrasing the new policy is the federal government will track the social media activity of American citizens. Meet the New Ban, Same as the Old Ban – The Trump administration announced a new travel ban to replace its old one. Rather than being a temporary ban like before, the new one is indefinite. The administration made one change to the list of banned Muslim majority countries by removing Sudan and replacing it with Chad. No one, except the person who watched Trump throw darts at a map of Africa, understood why Chad was added since the U.S. and Chad have a close counter-terrorism partnership. To give the ban some non-Muslim window dressing, Trump also added North Korea (which already bans travel from its own country) and Venezuela (which is limited to only on a small number of government officials – don’t worry Houston Astros, second baseman Jose Altuve will still be able to play in the playoffs.). Sarah Huckabee Sanders Told the Truth! – It is so unprecedented for White House Spokesperson Sarah Huckabee Sanders to say something 100% true, that it’s a newsworthy event. Commenting on the ongoing battle between Trump and NFL players, Sanders said, “There’s nothing to clarify here. I think it’s pretty black and white.” I’m proud of you, Sarah. You have displayed honor, the stuff from which heroes are made. We have three great articles from three strong women this week. The first is a Letter to the Editor in The Oregonian from Mary Afsari-Howard. Afsari-Howard reflects on her own protest during the national anthem as a young girl in “Integrity in Silent Protest”. In The New York Times, the founder of Girls Who Code, Reshma Saujani, makes “The Case for Shunning the White House”. In an excerpt from the book Nasty Woman, Nicole Chung, a first-generation Asian American woman adopted as a baby by a white conservative family, reflects “On American Identity, the Election, and Family Members Who Support Trump”. 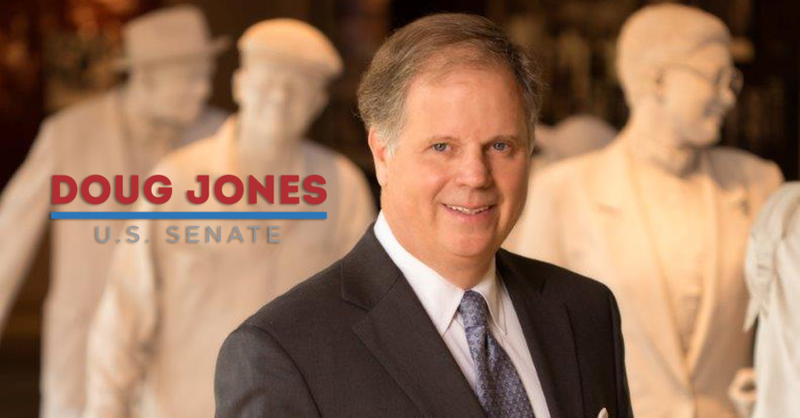 Consider supporting Doug Jones for the Alabama Senate seat. Doug has long fought for justice in Alabama and is now fighting to keep insane, hateful, disgraced former Supreme Court Justice Roy Moore from joining Congress. We at The TrumpShaker believe that constant vigilance is necessary to ensure that the election of President Trump does not lead to an America under authoritarian rule. We designed this weekly newsletter to provide a quick way to keep up to date and to feature opportunities to take action.We will do our best to provide accurate and somewhat timely information. We are not journalists. However, our Editor was the Sports Editor of his high school paper and also did a nightly radio update in college on what the cafeteria was serving, so that’s more direct experience for this job than Donald Trump has for his current one.